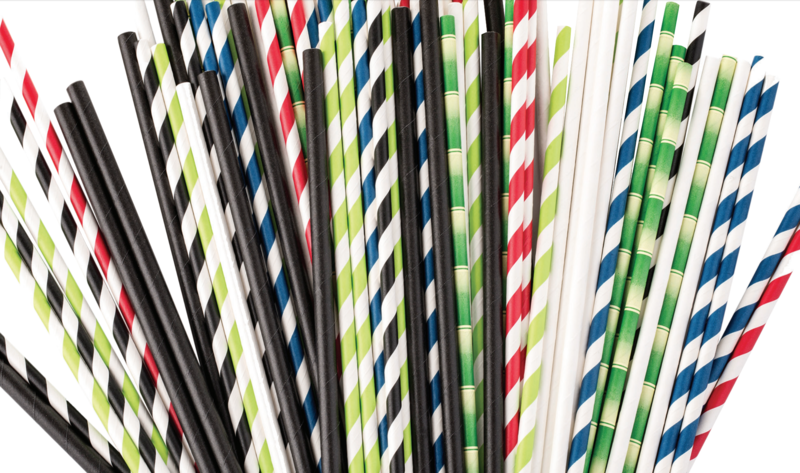 Locations across North America are getting in on the eco-friendly straw trend. From Seattle, which was the first to ban and fine operations using plastic straws in the United States, to across the border in Vancouver, whose ban on single-use plastics goes into effect this year, organizers of The Last Straw campaign are encouraging Canadian operators to reduce the use of plastic straws. “At the end of the night, what you’re looking at in your garbage can is fruit and straws,” said organizer Jillian Lucas in an interview with CTV news. How many straws are we talking about? According to Restaurants Canada, this number totals nearly 57 million straws discarded daily across Canada, and of that total, only 20 percent are being recycled. So what can Canadian restaurants and foodservice operations do? Consider the alternatives, though the alternatives do come with some inherent challenges. First of all, which straws should you select? What composition should they have so they won’t deteriorate during use in a customer’s mouth? How big should they be in diameter based on the beverage you’re serving? The next questions are based on storing and dispensing. What size straws do you need to fit your glass sizes? How can we make it easier for customers? How should we store and dispense those straws? The good news is our friends at TableCraft created a brief guide to plastic straw alternatives. Check it out, and you’ll learn some of the answers to the questions above, as well as viewing some of the solutions that can help make your eco-friendly straw goals achievable.